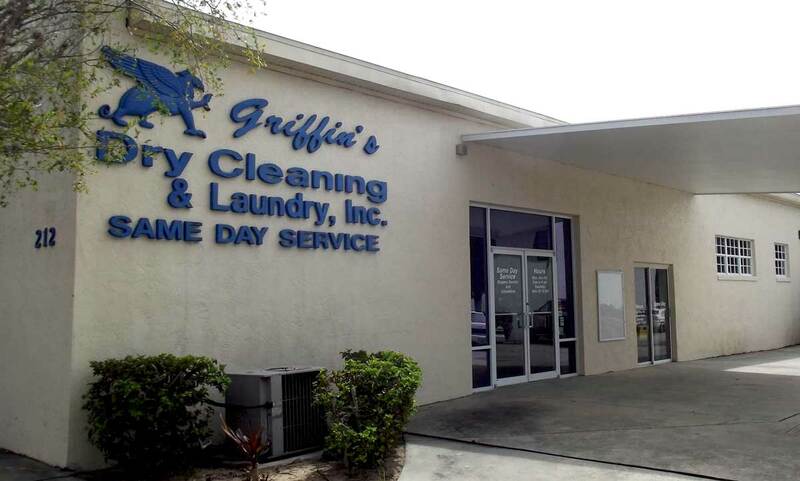 Since 1968 when the Griffin family opened their first dry cleaning establishment in Wauchula, Florida, they have continued to deliver quality, environmentally-friendly dry cleaning with a family work ethic that speaks for itself. The Griffin's consider serving the heartland to be a privilege and their friendly staff and full range of services keep their faithful customers coming back, time and time again. In 1984 they opened a second store, serving Arcadia and the surrounding area. Back then the stores were known as Don’s Laundry and Dry Cleaning. The same formula for success remained in place; give people the best quality dry cleaning service in a timely fashion, serving them with a smile, and you’ll have a customer for life. In 1993 Ray Griffin opened 2 more Griffin's Dry Cleaners and Laundrys, Inc., in Sebring, Florida and another store in Avon Park. Like his family before him, Ray’s philosophy includes environmentally-friendly soaks and solvents for the purpose of providing excellent dry cleaning and preserving the earth at the same time. Ray wants to leave a legacy of having taken great care of his customers without bringing harm to the environment. Griffin's Dry Cleaners and Laundry, Inc. offers a full line of dry cleaning services in all three locations, which include large area rug cleaning, drapes, leather, suede, and furs. The Griffin team also offers fire restoration and mold remediation with climate-control rooms that complete the odor-removing process. The result is that your garments, drapes, or rugs will not show the effects or smells of having been in a fire or flood. Having won the local newspaper’s Reader’s Choice Award 20 years in a row, the Griffin family is proud to say that the next generation of sons is now included in running the dry cleaning business. Working along with Ray, they are striving to keep the business up to the most stringent, modern standards, being able to continually satisfy their local and faithful customers. All three dry cleaning establishments offer free pickup and delivery of your garments, from both commercial businesses and residential homes. In our busy world where some of us have multiple jobs and obligations, this simple but valuable service is important to us all!